We've almost reach the end of this week's Star Wars ABC's series, but we have a very important one today. There are nightmares, bogeymen, and other unpleasantries. And then there's Darth Vader. Encased in a life-giving suit, he's more machine now than man, twisted and evil. At least, that's what his friends say. He doesn't appreciate a good joke and is incapable of playing nice with others. Vader is as Vader does...and Vader does as his Emperor commands. When I was a very, very young child, Vader scared me. While sleeping in my room at night, I thought I saw his shadow standing in the corner and imagined his synthesized breaths. If I got out of bed, he'd switch on his lightsaber and hack me to pieces. Good news: I fear him no more. Part of it's growing up; part of it's knowing that Hayden Freaking Christensen is inside that suit with his pedantic whining and monotone delivery ("One day, I will be the most powerful Jedi EVER!"). Okay, it's mostly growing up; I just wanted to take a stab at the Greatest Canadian Actor Ever. 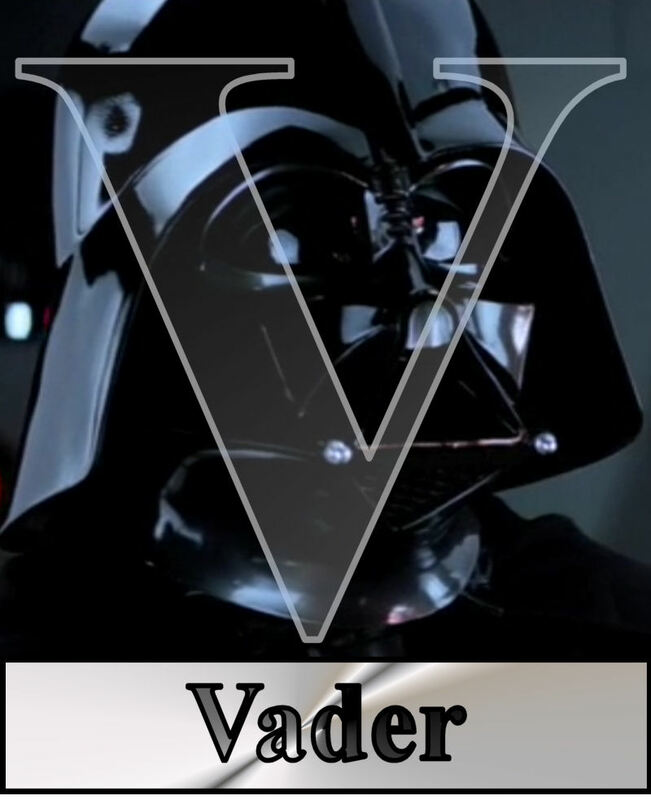 Vader is the iconic big screen baddie. Mysterious, ruthless, driven, and unafraid to leave a few bodies in his wake (Obi-Wan Kenobi, Admiral Ozzel, Captain Needa, that poor Tantive IV commander, Luke's hand, assorted Jedi & other malcontents). Without Vader, there is no Star Wars. TOMORROW: A reliable wing man who helped destroy two Death Stars; a real Rogue.